Stephen Lawrence was working on a review for Rochford Street Review at the time of his death and we had exchanged a number of emails discussing the structure of the review. In his last email to me he discussed, with some excitement, his review of Evie Shockley’s 2011 poetry collection, the new black that had just been published in the New York’s Poetry Project Newsletter. Stephen wanted to publish the review in Australia and asked if he could send it to me for consideration to be published in Rochford Street Review. I agreed and waited for him to send it through. It never arrived. 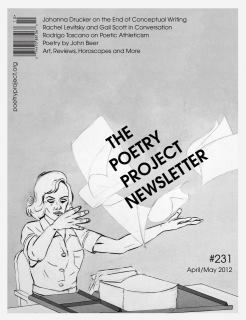 After I heard of Stephen’s death I approached Paul Johnson from the Poetry Project Newsletter for a copy of the review. He kindly forwarded a copy of the review which is republished below as a tribute to Stephen. Reading this review one is struck by Stephen’s keen poetic mind and his understanding of the political context in which poetry operates. It reinforces just what a loss his death was to poetry. 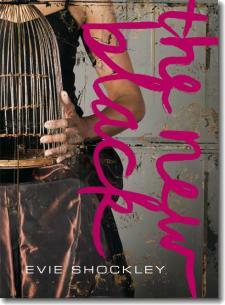 the new black by Evie Shockley. Wesleyan University Press, 2011. Reviewed by Stephen Lawrence. In her collection’s first section, “out with the old,” she begins with the exquisite “my life as china”: mineral elements mined from moun­tains, then fired as clay and glass, come to human lips. It is lovely; yet through the poem’s limpid, Schubertian depths one can read of racial passages from another continent, market transactions, bodily altera­tions, shameful deals. The poet’s visit to Monticello, in “dependencies,” inflames complex, uncomfortable reactions. Her personal response to the curated Jefferson is always evident: “i hear you loved / wine (we have that in common).” Manifold approaches lean upon each other in this multi-voiced dramatic poem—it is almost a theater piece, dividing selves into different speakers as part of the search for understanding and qualified acceptance. The rest of Shockley’s collection continues to source artists, various branches of knowledge and her personal history to explore blackness and nationhood. She skillfully and provocatively opens up the com­plexities, disputes and schisms that will remain with the U.S. until the end of culture. Although she unseals then coldly peers into wounds, at other times hers is a warm, sympathetic approach. As well as gaming with words and phrases within the poems, the collection’s title echoes playfully, bitingly, throughout. “New” becomes an acronym for “not especially white”; “murk was the new black”; “abnormal is the new natural”: all piece together the puzzle of her book’s naming. 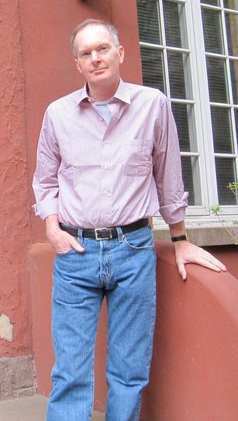 Shockley tours a wide range of poetic forms, never settling on a single formula. The variety is so broad that this, her second book of poetry, has been accused of resembling a first collection’s stylistic “grab-bag,” intent on showing off formal flair. Too-easy subjects— such as her shrill Halliburton-in-lraq poem (its title, “in a non-subjunctive mood,” attempts to validate its inclusion)—seem unnecessary to her thesis. She relies heavily on responses to art and photography: “gold chain hang­ing over a worn collar, / a thick textured ring bright on the finger / beside the one she gives the photo- / grapher.” Common advice to blocked poets is to visit a gallery and transcribe what you see there, as a means of resuming writing. Shockley’s poems can be disarming, and are always clever, but petitioning museum art and pop culture may not be trying hard enough. However, responding to artworks that in other circumstances should speak for themselves is a necessary part of her inspection of political and cultural landscapes. The poet passes meaning beneath various microscope lenses, and across the face of carnival mirrors. Shockley’s broad cultural resource, combined with her poetry’s relaxed intentionality, helps give context to, position and display pieces in the vast puzzle of race and politics in America. Her argument is fulsome, convinc­ing, seductive, but can never be complete. Stephen Lawrence has a PhD on political poetry, is the author of four poetry collections, edits compilations of South Australian writing, and has two poems in the Anthology of Contemporary Australian Poetry (University of Louisiana, 2012). Stephen’s review of Mascara Issue 10 and Jacket 2, ‘51 Contemporary poets from Australia’ appeared in Rochford Street Review Issue 2. This entry was posted in Evie Shockley, Issue 4, Stephen Lawrence, the new black, Wesleyan University Press and tagged Aimie Meredith Cox, Amy Chavasse, Anne Spencer, Billie day, Ella Fitzgerald, frida kahlo, HoliFrida Kahlo, Langston Hughes, Lisa Crooms, literature, Louise Bourgeois, Lucille Clifton, Mendi Obadike, poetry project newsletter, wesleyan university press, writing by Mark Roberts. Bookmark the permalink.